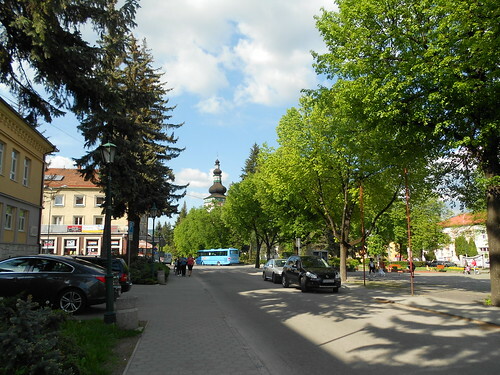 The town of Handlová is in the center of Slovakia. It used to be a Carpathian German enclave, both ethnically and linguistically, but after the events of 1939-45, they were given the boot. Today it is a pretty mining community of about 17,000. The Slovaks are really into their hockey. 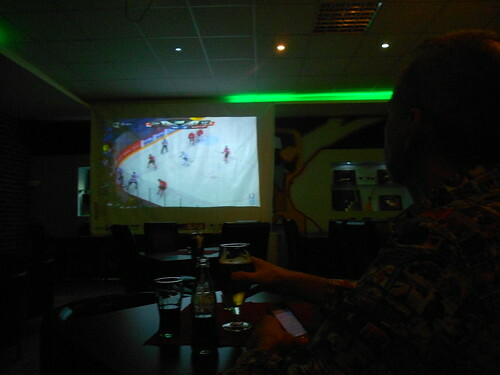 The IIHF World Championships were on every television set, and it didn't seem to matter who was playing, there was an audience. It was refreshing to be somewhere in Europe where hockey was the dominant sport. One such place was this bar near the city square. 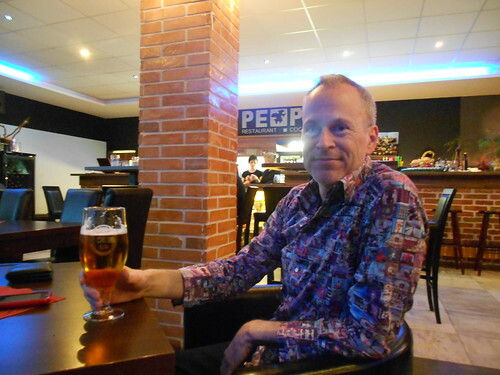 I am enjoying a Holba, a 12% abv lager brewed since 1874 in the beautiful Jeseniky Mountains of Hanušovice, Czech Republic. A pint cost me only €1,30, whereas Meghan's diet coke was €1,20. The pricing was reminding us of South Africa. I wonder why they use commas instead of decimals (and vice-versa) in certain parts of the world?